Like as Rev. James Begg, D.D., saw in Nineteenth Century Scotland, we see much declension in the church today in doctrine, worship and practice. And we believe, as Dr Begg did, that we should stand firm for our reformed and presbyterian principles. The purpose of the Society is to publish the works of Scottish Presbyterians from the Sixteenth Century onwards, and of modern authors with the same faith from around the world. The James Begg Society is not a fan club. We do not exalt men. A Brief Biography of Rev. James Begg, D.D. This early impression developed throughout his life into a resolute adherence to the principles and standards for which the Free Church of Scotland stood. Men like Hugh Watt, Dr. Brown of St. John's, Dr. Stevenson MacGill, Dr. Andrew Thompson and Dr. Thomas Chalmers contributed to Begg's early education. 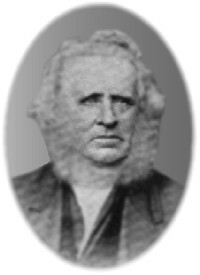 His solid attachment to the principles of the Free Church led him to separate in 1843, and Begg took a leading role in the early years of the Free Church. Begg was ordained in 1830, and was preaching assistant in North Leith and then minster of churches in Maxwelltown, Dumfries; Lady Glenorchy's Church, Edinburgh; Paisley, Glasgow; Liberton, Edinburgh – all congregations of the established Church of Scotland. Then from the Disruption in 1843 until 1883 (when he died), Begg was minister of the Newington Free Church, Edinburgh. Dr Begg wrote and spoke on innovations in worship, social issues, missions, education, ministerial training, Sabbath observance and much more. In July 1851 the first edition of The Bulwark appeared. Begg was its leading force, and was its editor for 21 years. It was his boast that although he wrote uncompromising articles, and although the Romanists were constantly on the watch, yet they never found opportunity to libel him, such was his honesty. He also wrote frequently to The Witness, Hugh Miller's newspaper, and formed a monthly magazine called The Watchword committed to exposing the propriety of unbiblical ecumenism. So far as unscriptural novelties in worship were concerned, he was consistent to the end. He summed up his own position by saying that he "was neither in favour of surplices, nor liturgies, nor organs nor any other innovations whatever (that deviated) from the simple and Scriptural customs of our forefathers." Begg's steadfast position was unpopular with some then and may be so today, but he stood foursquare on the reformed understanding of the Bible. Much of his unpopularity was due to his sincere adherence to his ordination vows, but he saw clearly his cause, his Gospel, his calling; as he said in the Assembly of 1870, "Come what will, I trust to die an honest and consistent man." Begg died in September 1883. 1 Memoirs of James Begg, D.D., by Rev. Thomas Smith, D.D., page 4. The Memoirs of James Begg, D.D., are available as an E-book on our website here. The basis of the James Begg Society is the Protestant, Reformed, Christian religion as contained in the Westminster Confession of Faith and the Form of Presbyterial Church Government. The aim of the James Begg Society is to advance the Christian religion through publishing, and such other lawful means as the Society may from time to time decide, and in furtherance thereof: (1) to promote the Reformed understanding of the Scriptures regarding doctrine, worship and practice; and (2) to encourage unity in doctrine, worship and practice among Reformed Christians. • President : Rev. James Gracie, Dip. Theol. • Secretary : Rev. Raymond Kemp, Dip. Theol. • Magazine Editor : Rev. David Blunt, MSc., Dip. Theol. The James Begg Society is recognised in Scotland as a charity.